Guide to configure your application. A Sensei node is configured by a set of files. These files describe a Sensei node in terms of data models, server configuration, indexing tuning parameters, customizations, etc. The Sensei properties configures different parts of the system, from server settings, to indexing gateways. table - describes how data is being persisted, can think of it as the indexing part of the schema. facets - descrbies how data is being viewed or queried, can think of it as the query part of the schema. A Sensei instance can be viewed as a giant table with many columns and many rows. The concept of such table directly correlates to that of traditional RDBMS's. uid (mandatory) - defines the name of the primary key field. This must be of type long. string - value is a string, e.g. "abc"
text - a searchable text segment, standard Lucene indexing specification can also be specified here, e.g. index="ANALYZED", termvector="NO". For number types, we don&apos;t currently support negative values. This is coming in a future release. By default, data objects inserted into Sensei are JSON objects. To delete a row from Sensei, simply insert a data object with the specified delete-field set to true. For many cases, you may want to save the original source data from which we extract all the fields into the index. You can do this by setting the attributes src-data-store and src-data-field. The second section is the facet schema, which defines how columns can be queried. If we think of the table section defines how data is added into Sensei, then the facet section describes how these data can be queried. The facet sections is composed of a set of facet definitions. A facet definition requires a name and a type. histogram: similar to a range facet, but a histogram facet automatically calculates the distribution of facet values over a predefined series of ranges with the same size. (A histogram facet depends on another numeric facet, and it requires several mandatory parameters, see the section called “Parameters for Histogram Facets”. timeRange: also similar to a range facet, it is a dynamic facet handler, that allows to search for documents, that have the time column value within the specified range from now,see the section called “Parameters for TimeRange Facets”. The column attribute references the column names defined in the table section. By default, the value of the name attribute is used. This can be useful if you want to name the facet name to be different from the defined column name, or if you want to have multiple facets defined on the same column. This is a comma delimited string denoting a set of facet names this facet is to be depended on. When attribute depends is specified, Sensei guarantees that the depended facets are loaded before this facet. This is also how Composite Facets are constructed. (Another advanced topic). Dynamic facets are useful when data layout is not known until query time. This is another advanced topic to be discussed later. The parameters can be specified via element params, which contains a list of elements called param. For each param, two attributes need to be specified: name and value. How parameters are interpreted and used is dependent on the facet type. datahandler: this is the name of the facet that the histogram facet depends on. The values of this facet are used to generate the distribution information. start: the minimum value of the facet. end: the maximum value of the facet. unit: the unit value used to divide facet values into ranges. depends: this is the name of the facet that the TimeRange facet depends on. The values of this facet are used to evaluate if the document needs to be matched. param range: this the format of range string is dddhhmmss. (ddd: days (000-999), hh : hours (00-23), mm: minutes (00-59), ss: seconds (00-59)) It represents the timerange used by the facet handler. We understand we cannot possibly cover all use cases using a short list of predefined facet handlers. It is necessary to allow users to define their own customized facets for different reasons. If a customized facet handler is required for a column (or multiple columns), you can set the facet type to "custom", and declare a correspodning property handler in file sensei.properties. The property of the bean should match the reference at sensei.custom.facets.list. server: port to listen on, rpc parameters, etc. cluster: cluster manager, sharding, request routing, etc. indexing: data interpretation, tokenization, indexer type, etc. Let's take a brief look, how the class properties are loaded into Sensei. In the following sections, we are going to explain every configuration property in each part: what the property type is, whether it is required, what the default value is, and how it is used, etc. This is the node ID of the Sensei node in a cluster. This specifies the partitions IDs this the Sensei server is going to handle. Partition IDs can be given as either integer numbers or ranges, separated by commas. For example, the following line denotes that the Sensei server has six partitions: 1,4,5,6,7,10. This is the Sensei server port number. This is the core size of thread pool used to execute requests. This is the length of time in seconds to keep an idle request thread alive. This is the maximum size of thread pool used to execute requests. This is the name of the Sensei server cluster. This is the session timeout value, in milliseconds, that is passed to ZooKeeper. This is the ZooKeeper URL for the Sensei cluster. See sensei.index.analyzer.class in the section called “Plug-in Properties”. This is the maximum time to wait in milliseconds before flushing index events to disk. The default value is 300000 (i.e. 5 minutes). This is the batch size to control the pace of data event consumption on the back-end. It is the soft size limit of each event batch. If the events come in too fast and the limit is already reached, then the indexer will block the incoming events until the number of buffered events drop below this limit after some of the events are sent to the background data consumer. See sensei.index.custom.class in the section called “Plug-in Properties”. This is the directory used to save the index. This controls the freshness of entries in the index reader cache. See sensei.index.interpreter.class in the section called “Plug-in Properties”. See sensei.index.manager in the section called “Plug-in Properties”. This is the batch size to control when data events accumulated in the default index manger should be consumed by the data consumer. The default value is 1. This is the maximum number of data events that the indexer can consume per minute. If this threshold is exceeded, the indexer will pause for a short period of time before continuing to consume incoming data events. This property is helpful in preventing the indexer from being overloaded. The default value is 40,000. Required: Yes, if the default indexing manager is chosen; No, otherwise. This is the maximum partition ID number served by this Sensei cluster if the default Sensei indexing manager is used. This property is different from the total number of partitions in a Sensei cluster. For example, if a cluster contains 4 partitions, 0, 1, 2, and 3, then sensei.index.manager.default.maxpartition.id should be set to 3. See sensei.index.manager.default.shardingStrategy.class in the section called “Plug-in Properties”. See sensei.index.manager.default.type in the section called “Plug-in Properties”. This is the maximum number of incoming data events that can be held by the indexer in a batch before they are flushed to disk. If this number is exceeded, the indexer will stop processing the data events for one minute. This specifies whether the indexing mode is real-time or not. See sensei.index.similarity.class in the section called “Plug-in Properties”. This is the maximum size of thread pool used by a broker to execute requests. This is the maximum idle time in milliseconds for a thread on a broker. Threads that are idle for longer than this period may be stopped. This is the core size of thread pool used by the broker to execute requests. This is the port number of the Sensei broker. This is the resource base of the broker web application. This is the ZooKeeper URL for the Sensei search cluster that a broker talks to. 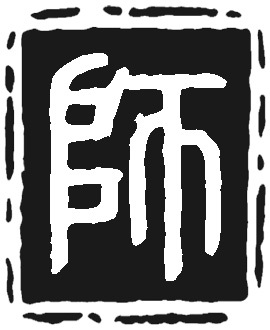 This is the Sensei cluster name, i.e. the service name for the network clients and brokers. This is the ZooKeeper network client session timeout value in milliseconds. This is the maximum number of milliseconds to allow a connection attempt to take. This is the number of milliseconds a request can be queued for write before it is considered stale. This is the maximum number of open connections to a node. This is the number of minutes to keep a request that is waiting for a response. This is the frequency to clean up stale requests. This specifies the class name of the analyzer plug-in for analyzing text. If not specified, org.apache.lucene.analysis.standard.StandardAnalyzer will be used. This specifies the class name of similarity plug-in for Lucene scoring. If not specified, org.apache.lucene.search.DefaultSimilarity is used. This specifies the class name of the custom indexing pipeline implementation. A custom indexing pipeline can be plugged into the indexing process to allow users to modify generated Lucene documents at the last step before they are indexed. A custom indexing pipeline has to implement interface com.senseidb.indexing.CustomIndexingPipeline. This specifies the bean ID of the interpretor of Zoie indexables. If not specified, com.senseidb.indexing.DefaultJsonSchemaInterpreter is used. This specifies the class name of the indexing manager object implementing com.senseidb.search.node.SenseiIndexingManager. If not specified, com.senseidb.indexing.DefaultStreamingIndexingManager is used. Required: Yes if sensei.gateway.class is not specified, i.e. the default indexing manager is used. This specifies the type of gateway that will be used by the default indexing manager. The value identifies the name of of the class extending com.senseidb.gateway.SenseiGateway. Several built-in gateways are provided by Sensei, but you can always define your own based on your need. No matter a built-in gateway or a custom gateway is used, additional parameters can be specified under the names with prefix sensei.gateway<gateway-type>. This type of gateway takes a regular text file as the input. Each line in the file contains a data entry in JSON format. This type of gateway takes Kafka messages as input. See the section called “Kafka Gateway Properties” for additional property information. This type of gateway takes JMS (Java Messages Service) messages as input. The publish-and-subscribe messaging model is used by Sensei, so parameters like topic need to be provided. See the section called “JMS Gateway Properties” for additional property information. This type of gateway takes JDBC data as input. See the section called “JDBC Gateway Properties” for additional property information. This is the name of the class extending the com.senseidb.indexing.DataSourceFilter . No matter what gateway type the indexing managers uses, a filter can be plugged in to get the original source data converted to the JSON format defined by the table schema. If the input data is already in the right format, then this filter is not needed. This is the class name of the sharding strategy. This is the class name of the Sensei request router factory. This factory builds the load balancer that is used by Sensei brokers to route incoming requests to different Sensei nodes. This specifies the class name of version comparator plug-in to be used by the indexer. If not specified, Zoie's default version comparator is used. This is the path to the input data file. This is the batch size for each pull request. This is the host name of the Kafka server. This is the port number on which the Kafka server is listening for connections. This is the socket timeout in milliseconds. The topic of the messages to be fetched. This is the client identifier used to connect to the JMS provider. This is the topic name that the JMS client subscribes to. This is the bean ID of the proj.zoie.dataprovider.jms.TopicFactory object. This object is used to generate a topic object based on the given topic name. This is the class name of the javax.jms.TopicConnectionFactory object, which is used by the JMS client to create a javax.jms.TopicConnection object with the JMS provider. This is the bean ID of the com.senseidb.gateway.jdbc.SenseiJDBCAdaptor object. This object is used to build a proj.zoie.dataprovider.jdbc.PreparedStatementBuilder object, which is required by proj.zoie.dataprovider.jdbc.JDBCStreamDataProvider. This is the class name of the JDBC driver that you want to use. This is the password for the user name that you use to connect to the database. This is the user name that you use to connect to the database.